The Elton Trower Memorial was held at No Limits Eastern Shore on Friday, 7/22. It was a brief ceremony with a video/slideshow and music, followed by a cookout (because Elton would have wanted us to have fun!). Our 2014 Kate Award Winner Iesha Warrington performed. This event was suggested and developed by No Limits participant and brain injury survivor Matt Mehilentze (with assistance from our Outreach Coordinator Emma Fillebrown and Denise Brown) to honor his late friend on the anniversary of his passing. Elton Trower conducted our Exercise group for many years, generously funded by the United Way of Virginia’s Eastern Shore. His group was the ONLY resource on the Eastern Shore specifically for survivors of brain injury when No Limits first opened in March 2001 and he was a great friend to the local brain injury community right up until his death. This event was intended as a celebration of his years of service. We miss him very much. 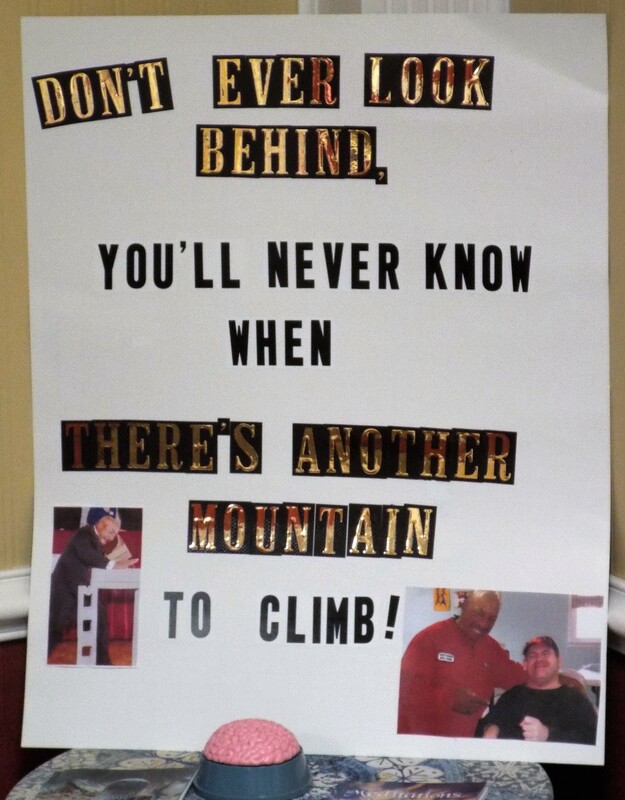 Matt and Denise designed and created posters with inspirational quotes to be used as decorations. Yo Elton, we did it! We hope you were pleased with it all! Another great poster inspired by Elton, designed by Matt, and developed by Denise. Matt worked so hard to prepare this memorial. We are so proud of everything that he accomplished. What a wonderful turn out! We were so honored to be joined by Elton’s daughter, Felicia Trower-Matthews, and her family. Thank you to everyone who joined us to remember our dear friend. Elton’s daughter, Felicia, brought Matt a T-shirt and trophy that had belonged to Elton. These mementos mean so very much to Matt. Here is our director presenting them. Felicia’s family pose for a photo with Matt. What a great shot! Two familiar faces enjoying the memorial. Thank you Matt’s mom, Noreen, and Iesha, our 2014 Kate Award winner, for joining us. They were both so very helpful to us on the day of the memorial and Iesha sang a beautiful hymn in Elton’s memory. Cookout time! In celebration of Elton’s life we decided to cook out! David the Master Chef cooking the dogs to perfection. 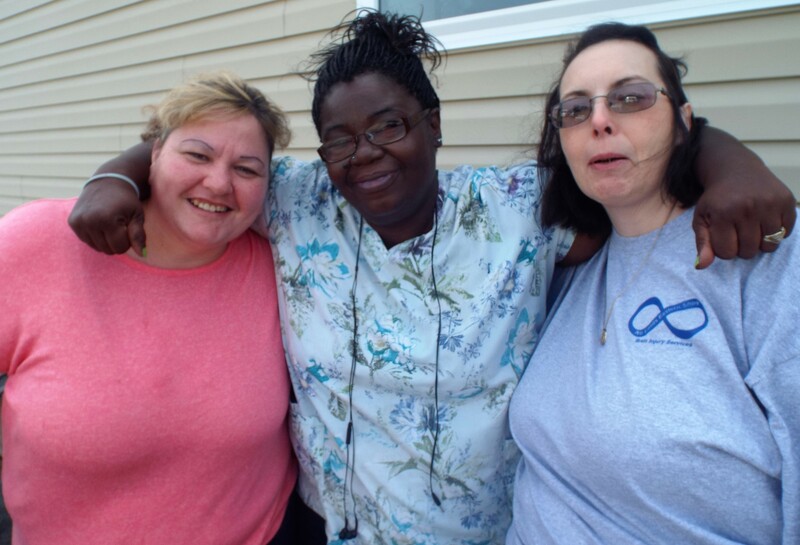 Faith, Sherry, and Denise – 3 lovely ladies.